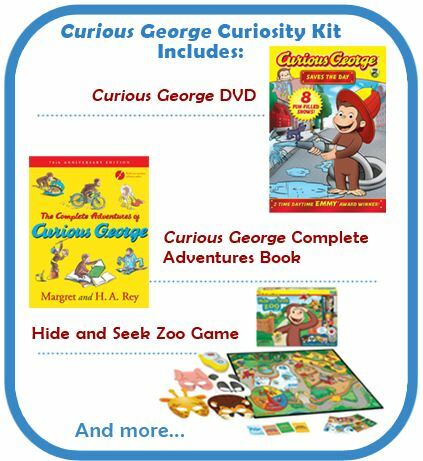 Celebrate the Arts With Curious George and Let Your Kids Exercise Their Creativity! Celebrate the Arts With Curious George’s First Ever Dance Contest! CG (R) & (C) 2012 Universal Studios and/or HMH. All Rights Reserved. FOR PROMOTIONAL USE ONLY. I have such fond childhood memories of Curious George and the “Man in the Yellow Hat.” The books by Margaret and H.A. Rey were the first actual story books that I recall reading in school (versus the short stories in the reading book that didn’t actually feature any real characters). When my son was born and I started amassing books for his library, Curious George was one of the first to make it to the shelf. Characters like George transcend the generation gaps and bring us a little closer together. Of course, my son is even luckier because not only does he get to read the books, but he gets to enjoy Curious George’s adventures on a whole new level through the television series on PBS Kids. The sixth season of Curious George will focus on the arts, including dance. George already knows all about the importance of exercise. He is a monkey, after all! He also knows that dancing is not only a great way to get moving, but it’s also a fantastic way for kids to express their creative sides and expand their growing minds. Check out all the benefits of dance and get your child moving to the music! Now, parents and guardians can give their little ones a chance to star in a Curious George special while exercising all of that creativity in Curious George’s first-ever dance contest. 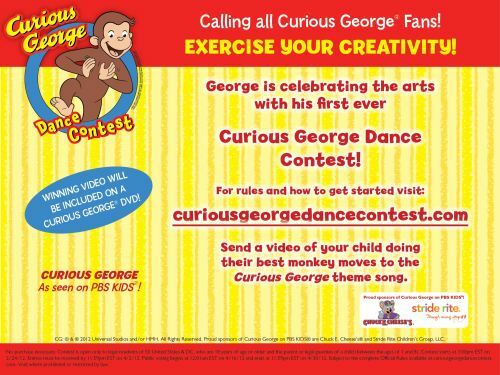 Just take a video of your child dancing to the Curious George theme song from the PBS Kids television series and submit it to the Curious George Dance Contest. If they win the grand prize, they’ll not only have the chance to appear in a Curious George episode, they might even win a visit from George himself! While the opportunity to win such an awesome prize is definitely a major plus, just getting out there and expressing a little creativity through dance is prize enough for any child. So what are you waiting for? Break out that video camera, put on the Curious George theme song, and let your child groove to the music! Disclosure: This post is sponsored in collaboration with Latina Bloggers Connect and WGBH. My opinions, however, are always my own. The kit looks like so much fun!